Expo Veneto: A day in Lessinia. Walking with Alpaca. Событие > A day in Lessinia. Walking with Alpaca. A DAY IN LESSINIA. WALKING WITH ALPACA. A full day spent in Lessina, discovering local nature and unique places. A walk trought mountain paths with a guide that will explain you local traditions, old jobs together with a fantastic animal: The alpaca. Lessinia is rich of historical museums, local food. It will be a day of relax and good food The day starts at Hotel Bareta, where you will receive all maps and information for the day. You will reach by car, by bus or transfer the place Giazza, where after a strong breakfast with local cold cuts, there will be an itinerary throught mountain paths. A guide in italian, english or german language will explain local traditions and wild aromatic plants. The panorama will wonder you! After 1 hour walk with Alpaca animals you will reach an alpine hut. A break with local foods and explanation of flowers that only here you can find (a rare variety of Orchidales!) and the bothanic garden. In the afternoon the visit of the Cimber museum. Who are strong will continue the mauntain walk till a hut at 2200 mt!! Event for goups or individuals. Hotel Bareta matches the family run, that ensure the familiar hospitality together with modern, efficient, complete and tailor made services certified also from the Michelin guide. 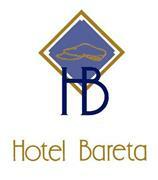 Hotel Bareta is situated in Caldiero Terme on the national road (SR11) that connects Verona to Vicenza. Easy to reach from the highway A4 direction Venice exit “Soave” or “Verona Est”. Our position is ideal to move to Verona (10 km. ), to the Garda lake or to all mayor cities of Veneto. The rooms are silent because not on the street, have a small balcony and modern style furnished. All rooms are air conditioned with TV, TV-Sat., telephone, Wi-Fi connection, minibar, kettle, pillow card and bathroom with shower, hairdryer and all toilette necessities. Internal parking with garages free at your disposal. Very appreciated is our rich BUFFET BREAKFAST. Wine bar with a wide choice of local and Italian wines. Welcome cocktail every night in the internal bar. Bicycles free at your disposal. The surround is very rich of attractions like Thermal swimming pools, medieval castle of Soave, wines itineraries, fossil museums. By CAR: On the Highway A4 direction Venice you esc in Soave (Soave exit), turn right direction Verona. You are on the national road SS11. Go straight on the 3 rounds you will find and after about 8 km, on the second traffic lighter for Illasi on the left you find Hotel Bareta. By TRAIN: From the central train station of Verona (Verona Porta Nuova) continue on a regional train direction Venice. The train stops is (Strà di Caldiero). It is a secondary train station. We are 200 mt from the train station. By BUS: From the central train station of Verona (Verona Porta Nuova) take the bus (line 31) direction S. Bonifacio. The bus stops is Caldiero Strà and when you go down from the bus you are in front of the hotel.